10 Signs of Aging: Would Home Care help Your Senior? An informative checklist to help you determine whether or not your loved one may need additional assistance. 1. Look in the refrigerator, freezer and drawers. Has food spoiled because mom can’t get to the grocery store? Does she have difficulty cleaning tight, cluttered places? 2. Look over the grocery list. Has your loved one’s declining health prompted her to purchase more convenience and junk foods, and neglect proper nutrition? Is she losing weight? Would home care in Phoenix help your elder eat healthy meals? 3. Look on top of furniture and countertops. Are dust and dirt signs that household tasks are becoming more difficult for your parents? 4. Look up at fans and ceilings. Has the inability to lift her arms and climb stepstools prevented your loved one from cleaning soot and grime from high places? Caution your senior not to climb. 5. Look down at floors and stairways. Have shaky hands spilled drinks and food, soiling vinyl, wood, carpets and walkways? Are frayed carpets, throw rugs, objects and furniture creating tripping hazards? Does dad’s bad knee put him at greater risk on cracked sidewalks and with broken stair rails? 6. Look under beds and sofas. Is your senior having difficulty organizing old newspapers, books and magazines, which are creating a fire hazard? Would home care bring you peace of mind knowing your elder is safe at home? 7. Look through the mail. Is mom’s dementia causing her to forget to pay bills and answer correspondence? 8. Look below bathroom and kitchen sinks. Is poor eyesight making it difficult for your elderly relative to read medication labels and to properly store cleaning materials? Is he forgetting to refill medications and to take them on schedule? Check the refill date against the number of pills in the bottle to help determine if your loved one is taking medication regularly. Or call the pharmacy. 9. Look at your senior’s appearance. Is clothing dirty and unkempt, and is your loved one neglecting personal hygiene? 10. Look to your parents’ neighbors and other close friends to find out about their daily routine. Are your seniors at home more, watching television and avoiding stimulating conversation and companionship? 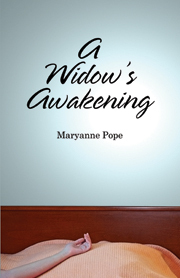 I love blog.widowed.ca! Here I always find a lot of helpful information for myself. Thanks you for your work.